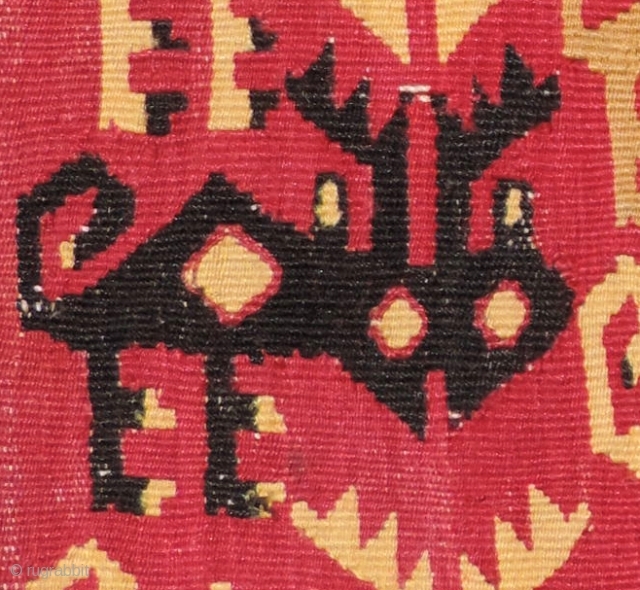 Detail from a Pre-Columbian tapestry panel depicting a herd of andean Brocket Deer. These animals were revered in the andes and were captured in ritual hunting expeditions during Incan times and before. The species remained quite plentiful in the highlands until after the conquest of the region by the Spanish in the 1500's. Today they are nearly extinct in the high andes. This tapestry panel comes from the Pachacamac-Rimac culture - a.d. 1100 - 1400. It is complete and measures 14 x 8.5 inches. 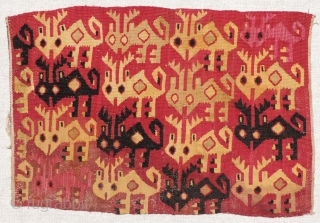 Pieces with this imagery are rare, but there is a closely related example published in the excellent publication, Animal Myth and Magic Images from Pre-Columbian Textiles - plate 64- (shown in this post.) *The border strip at the bottom of plate 64 is sewn on and not part of the panel. ***For reference, anyone interested in Andean Pre-Columbian textiles should own this book. 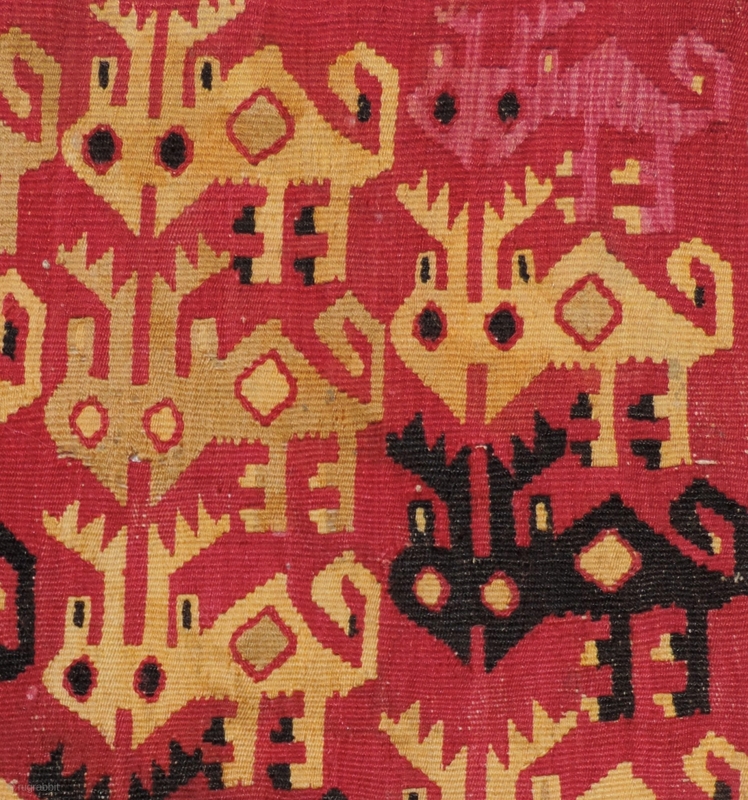 It features excellent color images of great Andean textile art from an important collection and contains a brilliantly written and comprehensive text by Andean scholar Vanessa Drake Moraga. 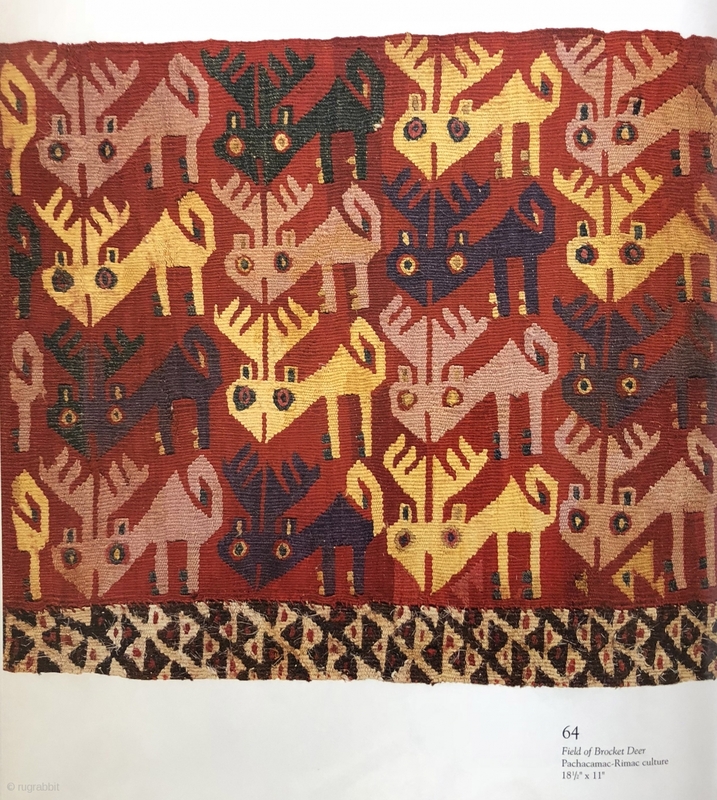 This is possibly the best publication available to anyone interested in understanding the imagery and beauty seen in Andean textiles. 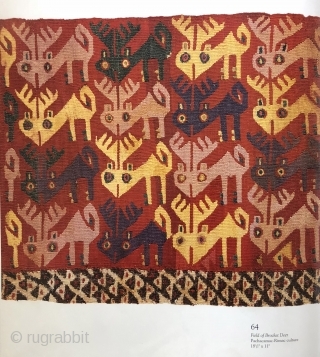 Examples like those featured in the book are hard to come by and set a standard for this kind of textile art . This textile panel would look great mounted, but at this time remains as is. 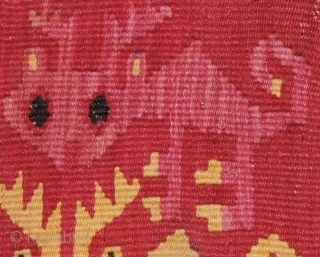 It is a beautifully graphic little piece, rare and highly collectable.